This is the next generation of the popular Ford Galaxy which is packed with practical innovations, driver assistance technologies and superior refinement. The exterior has been thoroughly reworked and now comes with a raised beltline to create a ‘strong character’, larger glass area and slimline headlights. There’s also room for a retractable panoramic glass roof. Ford also says that its new Galaxy can be optimised easily for the needs of either luggage or seating. Apparently, the third row of seats can be raised or folded at the push of a button. Getting in and out of this people carrier has been made easier thanks to a clever floor design and the second row of seats now slide to enable better access. 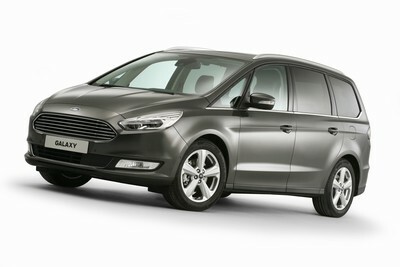 It’s important to remember that the all-new Ford Galaxy is offering seven full size seats which is great for families. From seat passengers in the Ford Galaxy also get to enjoy mass I bought a contour seats and there’s an integral link rear suspension for a quieter and smoother ride; an improvement for people in the second and third row of seats. Among the standard kit, Ford has added an intelligent speed limiter which scans traffic signs and will adjust the throttle to help owners stay within speed limits and avoid costly fines. There’s also pre-collision assist with pedestrian detection and the system will help drivers avoid impacts, including those with pedestrians, by monitoring for objects in the path of the Galaxy. Another big boost is the firm’s adaptive steering which adjusts the car’s steering ratio with its speed to optimise precision and manoeuvrability. Another big selling point is that the all-new Ford Galaxy will be able to use hands-free parking into tight spaces such as perpendicular parking and parallel parking. The park out assist system will help owners drive out of a parking space by operating the steering while the driver operates the brake and accelerator. Indeed, another big boost for owners of what is a sizeable vehicle is that the cross traffic alert system will warn the driver when another motorist is reversing from a parking space behind them and creating a hazard. In addition, other safety aids include traffic sign recognition, blind spot information, lane keeping alert and driver alert. The Galaxy will also come with the excellent for emergency assistance system which in the event of an accident will contact the local emergency services automatically. Prices and deliveries for the new Ford Galaxy will be announced later. This entry was posted in Car Leasing, Car Updates & Releases, Cars, Family Car, New Cars and tagged Ford Galaxy, Lease the new ford galaxy, new ford galaxy by Steve Lumley. Bookmark the permalink.